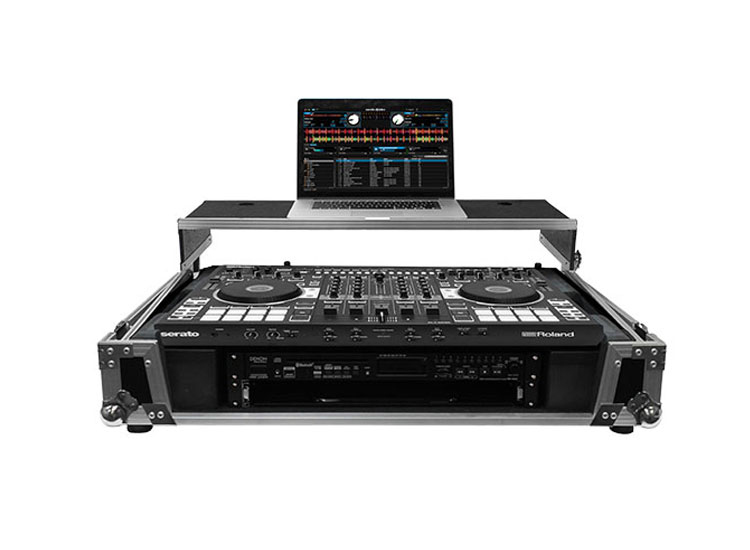 The new Odyssey FZGSRODJ808W2 Flight Zone® case includes a removable V-cut™ front panel allowing access to the all of the DJ controller's front knob controls and input jack ports. 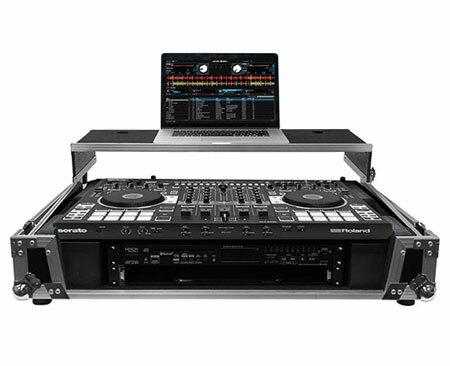 It features our patented Glide Style™ platform perfect for positioning your laptop, tablet, effect processors, and other gear right where you want it over the DJ-808 controller. A cable management port, essential for a clean setup, is positioned below the rear of the player. Also Underneath the controller compartment is another one of Odyssey's signature digital controller case designs; a 2U 19" rack mount space below the controller space perfect for rack mount gear such as wireless mic systems, power strip, drive rack, or storage drawer. The mounting hardware included allows for front or rear rack mounting and can be removed all together if needed. Also available in our Black Label™ Series with all black hardware (FZGSRODJ808W2BL).